The Steering Committee of the programme Supporting Recovery and Stability in Iraq through Local Development held its first annual meeting in Erbil, on 17 April 2019. The programme is funded by the European Union (EU) with €47.5 million over 4 years, and implemented by the United Nations Development Programme (UNDP) in partnership with the UN Human Settlements Programme (UN-Habitat). The Steering Committee endorsed the programme’s workplan, identifying key priority projects to be implemented in nine Governorates: Anbar, Basra, Duhok, Erbil, Missan, Ninewah, Salah al-Din, Sulaimaniyah, and Thi Qar. The projects derived from the Provincial Development Plans and the Sustainable Energy Action Plans, developed under the flagship Local Area Development Programme (LADP II) that concluded in mid 2018. The programme revolves around supporting the decentralization of powers from central to local authorities, including through the development of institutional capacities, the optimization of revenue generation systems, peer-to-peer partnerships with EU local authorities, and the empowerment of civil society to advocate for local development causes. “The European Union continues to show its commitment in supporting local development in Iraq. The Steering Committee meeting held today, was a great opportunity to agree all together on concrete actions to be implemented at local level in the next months. Under the new programme, UN-Habitat will contribute to the stability and socio-economic development of Iraq by improving living conditions and enhancing service delivery at the local level, through urban recovery investments and job opportunities in conflict-affected areas, and revenue generation in five governorates. A decision-making body, the Steering Committee is comprised of Iraq’s Minister of Planning, Dr. Nouri Al Dulaimi, Kurdistan Region’s Minister of Planning, Dr. Ali Sindi, as well as the Governors of the aforementioned Governorates where the programme will be active. Members also include UNDP and UN-Habitat as implementing partners, along with the EU Head of Delegation and Delegation Cooperation Section as donor representatives. Governorate representatives signed the Charter of Principles that sets out an agreed upon framework between each Governorate, UNDP and UN-Habitat. The framework defines roles and responsibilities and will govern the implementation of the programme. The programme fact sheet can be downloaded through this link: https://bit.ly/2Wlw17e. Posted in Anbar, Basra, Citi, Citigroup, Committee, Construction & Engineering In Iraq, erbil, European Union, European Union (EU), featured, Local Area Development Programme (LADP), mn, UN Development Programme (UNDP), UN-HABITAT, United Nations (UN), United Nations Human Settlements Programme (UN-Habitat). UK International Trade Secretary Dr Liam Fox MP has visited Baghdad for a three-day visit (Sunday, 14 April to Tuesday, 16 April 2019) where he met with the Iraqi Prime Minister and announced that UK Export Finance (UKEF) will make an additional £1 billion of support available for British firms operating in Iraq, providing jobs and promoting stability in the region. In the first visit to Iraq by a cabinet minister for more than a year, Dr Fox will be meeting with senior Iraqis including the Prime Minister and President to discuss the bilateral trading relationship. Alongside the Iraqi Prime Minister Adil Abdul Mehdi, the Trade Secretary announced that UK Export Finance is making an additional £1 billion available to support UK exports to Iraq, bringing its total support for the country to £2 billion. The measure is designed to promote Iraq’s economic development and nation-building, ensuring that UKEF can continue to help the Government of Iraq deliver critical infrastructure. “The atmosphere in Baghdad is one of optimism – it is a country which is having an increasingly stable period at a time of significant unrest in the wider region. 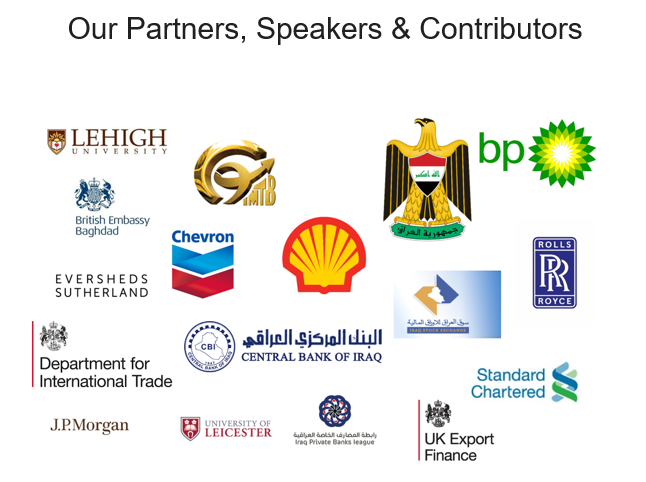 The British government, working closely with the UK private sector and our Iraqi partners, have a key role to play in the country’s long-term prosperity. The £1 billion we have announced today will significantly strengthen our ability to do just that. “We are delighted this additional funding has been made available for ongoing regeneration in Iraq and look forward to working with UKEF and the Iraqi government on future opportunities. Posted in baghdad, Basra, Basra News, Biwater, Business, Citi, Citigroup, Electricity In Iraq, ENKA, Enka Insaat, Export credit, featured, GE, General Electric, Iraq Banking & Finance News, Iraq Industry & Trade News, Kurdistan News, mn, Siemens, UK Export Finance (UKEF), United Kingdom. Iran’s Minister of Industry, Mine and Trade Reza Rahmani has said that Tehran and Baghdad have agreed to reach the target of raising the value of annual trade exchange to $20 billion within two years. Posted in baghdad, Basra, featured, Free Trade Zone, Iran, Iraq Industry & Trade News, mn, Politics. Posted in Basra, Electricity In Iraq, featured, Iran, Iraq Industry & Trade News, mn, Politics, sanctions. Iraq announced on Thursday the completion of the “technical preparations” to extend a pipeline to export one million barrels of oil per day through Jordan, Petra has reported. “The export capacity of the Basra-Aqaba pipeline, which runs through Jordan, is expected to reach one million barrels per day (bpd),” Iraqi oil minister, Thamir Al-Ghadhban, said in a statement. Al-Ghadhban explained that Iraq had completed the planning arrangements of the pipeline’s construction work. “The arrangements included its [the pipeline’s] track, components, absorptive capacity, the mechanisms of linking it to the northern Kirkuk oil fields, funding sources, and implementation and operational means,” he said. The government, Al-Ghadhban pointed out, plans to establish three linked crude oil exporting ports. Baghdad and Amman recently concluded six bilateral agreements to develop their relations, most notably in the oil and energy sectors. The two governments said the agreements aimed at “revitalising” their economies and strengthening ties between Iraq and Jordan. Posted in Aqaba, baghdad, Basra, Basra News, featured, Iraq Oil & Gas News, Iraq-Jordan Pipeline, Jordan, mn, pipelines. The European Union (EU), the United Nations Development Programme (UNDP), and the UN Human Settlements Programme (UN-Habitat) continue to work together to help the people of Iraq in their pursuit of recovery and stability. On 28 March 2019, representatives of federal and local authorities, community leaders, non-governmental organizations, businesses, academia, as well as implementing partners, gathered in the city of Basra, South of Iraq, to launch a new programme. With EU funding of €47.5 million over 4 years, the programme aims at supporting the implementation of local priority actions, derived from the Provincial Development Plans and the Sustainable Energy Action Plans developed under the Local Area Development Programme (LADP II), that address the top priorities of each governorate and pilot ways to translate policy into practice. In addition, supporting the decentralization of powers from central to local authorities, including through the development of institutional capacities, the optimization of revenue generation systems, peer-to-peer partnerships with EU local authorities, the empowerment of civil society to advocate for local development causes, mobilization of additional resources, and improvement of donor coordination will be part of the activities. Ms. Otsuki assured that UN-Habitat is committed to continue working, to promote recovery, resilience and reconstruction in Iraq. The programme will help the Government of Iraq to strengthen the efficiency of the country’s institutions and renew the social contract between citizens and the state. It revolves around improving the ability of selected governorates to efficiently manage local government and public services. Economic growth and job creation are prioritized, with a focus on green projects involving youth and women, in addition to enhancing the living conditions of returnees and in conflict affected areas. Building upon the momentum created by the recently concluded LADP II, the programme will be implemented in the following nine Governorates: Anbar, Basra, Duhok, Erbil, Missan, Ninewah, Salah al-Din, Sulaimaniyah, and Thi Qar. Posted in Anbar, Basra, Business, Citi, Citigroup, Construction & Engineering In Iraq, erbil, European Union, European Union (EU), featured, Local Area Development Programme (LADP), mn, Provincial Development Plans, Sustainable Energy Action Plans, UN-HABITAT, United Nations Development Programme (UNDP), United Nations Human Settlements Programme (UN-Habitat). By Hussein Al-alak. Republished with permission. To mark World Book Day, the UK-based charity, the AMAR International Charitable Foundation published these photographs from their school in Basra, Iraq. Each uplifting image demonstrates how AMAR is making positive changes to the lives of Iraqi children, through the power of the written word. The School for Orphans was built in 2016 and up to 30% of the children who attend have lost both parents to war or disease. The school has modern facilities and provides a broad curriculum, so children get the best start in life. One of their main focuses is on reading. 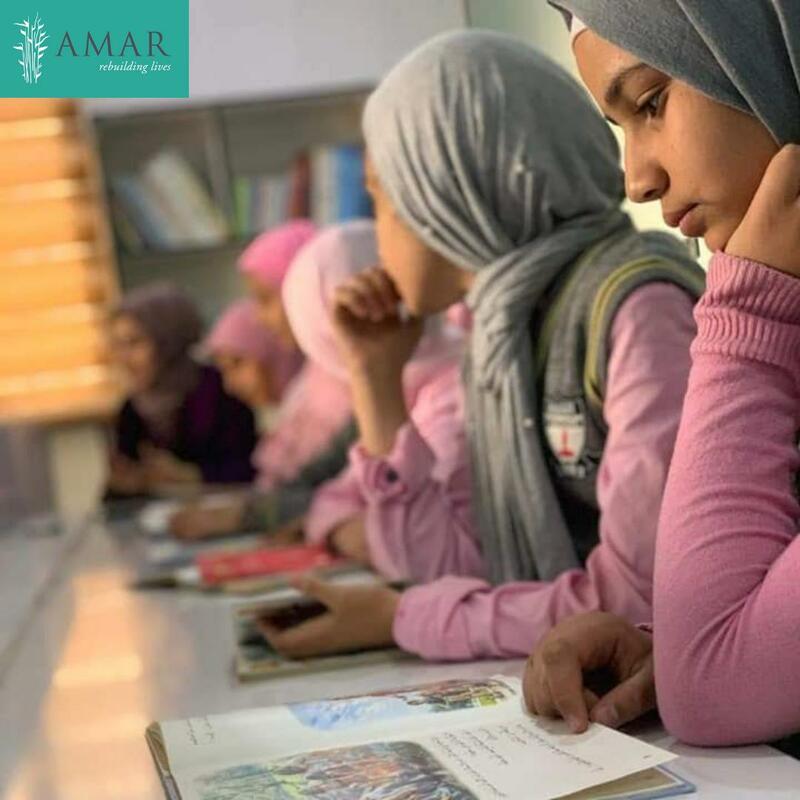 The AMAR Foundation builds and rehabilitates educational facilities across Iraq, ensuring access to safe, clean classrooms and provides additional infrastructure, so the overall experience for children is conducive to successful learning. AMAR is rebuilding the lives of some of the poorest and most disadvantaged people in Iraq. With Manchester being home to almost 20,000 Iraqi ex-patriates – many of whom escaped from the tyranny of Saddam Hussein – it’s the natural choice to be one of the charity’s first UK appeals centres. The most recent Iraqi refugees are following in the footsteps of literary giants, such as poet Siegfried Sassoon, whose family arrived in Manchester from Basra in 1858. The British-Lebanese historian Albert Hourani, who was born in Manchester in 1915. His book, A History of the Arab Peoples, was described by Harvard University Press as being “an instant classic upon publication”. Throughout the 1980’s and 1990’s, Iraq’s refugee children were keen visitors to school libraries across the city. Their parents saw it as a means of improving the youngsters’ spoken and written English, thus helping them to integrate into British daily life. In 2018, Iraqi students at the University of Manchester collected around 1.000 books as part of the international efforts to re-stock the University of Mosul, which was destroyed whilst the city was under the occupation of Islamic State. AMAR was founded in 1991 and is chaired by Baroness (Emma) Nicholson of Winterbourne. From 1923-1940, David Lindsay – the 27th Earl of Crawford and the grandfather of Baroness Nicholson – was also chancellor of the University of Manchester. On the 19th May, AMAR supporters are taking part in the Manchester 10K, where they will be supporting the charity’s efforts in education across Iraq. Since its foundation, more than 5 million Iraqi children and adults have benefited from its services in education. If you wish to learn more about AMAR’s work, please check out www.amarfoundation.org or you can support AMAR’s work in Iraq, by making a solidarity donation online. Hussein Al-alak is the editor of Iraq Solidarity News (Al-Thawra) and on the 19th May, will be taking part on the Manchester 10K, to support the AMAR Foundation’s work in education across Iraq. Posted in AMAR International Charitable Foundation, Basra, featured, Healthcare, Iraq Education and Training News, mn.